Cryptocurrency Security Leader Continues Rapid Growth, Taps Finance Industry Veteran to Lead the Global Business Unit and Onboard Financial Institutions onto Ledger Vault Platform. 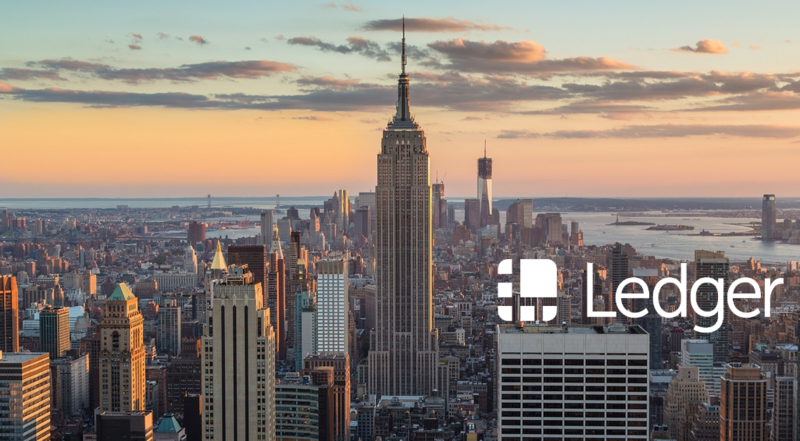 Today, Ledger, a global leader in securing crypto assets, proudly presents its United States expansion to New York City and appointed Demetrios Skalkotos to head the worldwide business unit operations for the Ledger Vault. The new office will be the headquarter for this. The Ledger Vault is a self-custody solution for managing crypto assets which uses multi-autorizations, which will serve as a business security option for financial institutions. The Ledger Vault offers cutting-edge security by combining the company’s self-made OS (Operating System), BOLOS, with the hardware security module chip, making it the only cryptocurrency protection company to integrate a Secure Element with its own custom OS. Ledger Vault provides the IT infrastructure for businesses to completely manage and control their crypto assets, allowing asset managers, custodians and traditional financial services to trade and store their digital assets. Having served in senior leadership roles at internationally recognized financial services companies, Skalkotos has decades of experience running global software and infrastructure businesses, as well as P&L’s, product development, sales and marketing. Skalkotos uniquely understands the industry and is well positioned to help financial institutions, hedge funds, high-net worth individuals and family offices ensure that security is top of mind as cryptocurrency investments continue to be embraced by mainstream financial organizations.